11 Lukie Points will be rewarded to you when you buy this. After the ancient sword called Soul Edge was broken to pieces, the shards were scattered across the world. The mighty weapon that destroyed it, Soul Calibur, has since disappeared -- and the evil magic of the sword has begun reasserting itself. Open the next chapter in world of Soul Calibur. 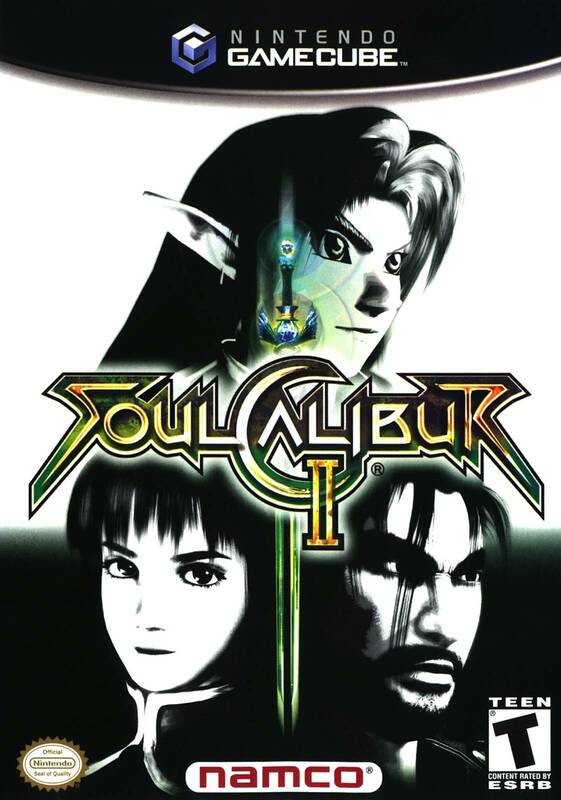 Soul Calibur II features seven distinctive gameplay modes including: Arcade, Versus, Time Attack, Survival, Team Battle, Practice, and the console exclusive Weapon Master. Become any of the warriors from the original monster hit, or two new characters, as you seek the fragments of Soul Edge and the secret of Soul Calibur's disappearance. Game arrived in great condition. A classic GameCube game and probably the best version in my opinion since you can play as Link. The game came in good condition. This was one of my favorite games to play during my childhood. I really loved it. Thanks LukieGames!! For me this game is a blast from the past! The game arrived in perfect condition and I couldn't be happier with it. 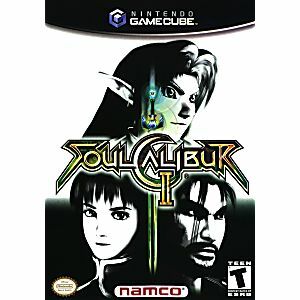 soulcaliber2 great game i just got a gamecube and its my first buy love it from other pos reviews all over net i am glad i did. all zelda games are expensive should go for 3x what i paid.!!! Soul Calibur II is an OK game. whether you like it or not depends on (obviously) whether you like fighting games. Personally, I prefer Super Smash Bros. Melee; the controls are quite simpler, and it features Nintendo characters!!! XD If you're looking for a classic fighter (healthbar at top, button combos, etc.) then this is the game for you! I was a huge fan of Soul Calibur back when it came out on Dreamcast, so I picked this up recently to play on my Wii. The game is just as fun as I remember, with a great variety of characters and weapons. Having Link as a playable character is also an awesome bonus. You can pull off some great moves in this weapons based fighting game. Its one of the must own Game Cube games. I have played this game only once before I owned it, and it was on a Playstation2, and I just love it even more on the Gamecube. It is just like the PS2 version, except there's one added bonus: Link from Legend of Zelda is a playable character! And true to every game he's been in, he doesn't talk, while all the others do. I am a woman, and I have to say there are plenty of female characters to play(my favorite is Xianghua!) and a lot of great male characters as well. I would rate this game 5 stars alone just for being able to play Link!